The A-dec 400 treatment centre not only ensures optimal comfort levels for you and your patient but will also consistently perform to a high level. Supplied by Curran Dental, this robust dental treatment centre offers both longevity and reliability and will provide an excellent long-term return as a mainstay piece of apparatus in your dental practice for years to come. 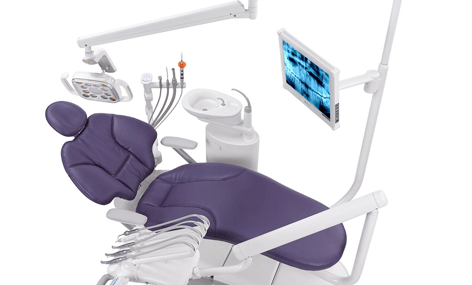 Designed for a fast-paced dental practice, the A-dec 400 utilises pure comfort for both you and your patient while also maintaining reliable strength and form. By supporting patients at all key pressure points, allowing fluid movement for treatment and optimised access for your comfort, the A-dec 400 is a sturdy treatment centre that will continually perform. Ideal for a fast-paced dental practice. Reliable and sturdy to provide excellent long-term service. 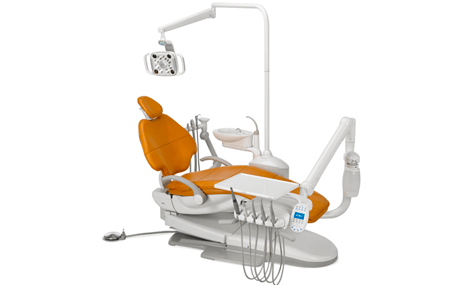 Optimises patient and dentist comfort. 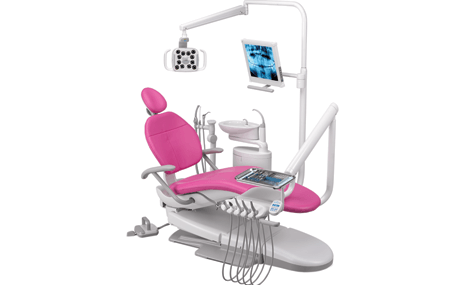 Allows optimal access to your patients’ oral cavities. Combined lifting system for seamless transition between treatments. 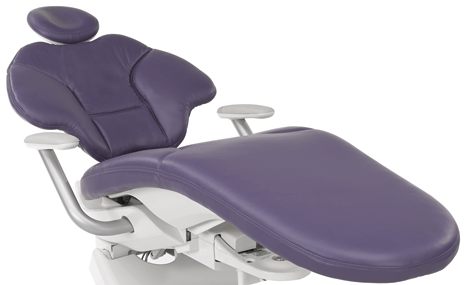 Ultra-thin flexible backrest for superior dentist comfort. 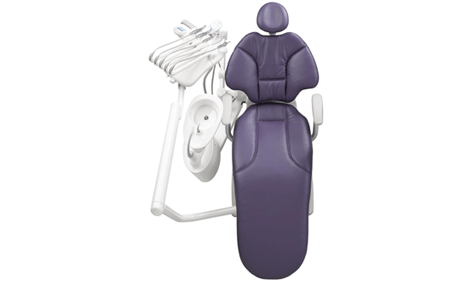 Double-articulating headrest for patient comfort. Hybrid chair lift system combining hydraulic base and electro-mechanical tilt. 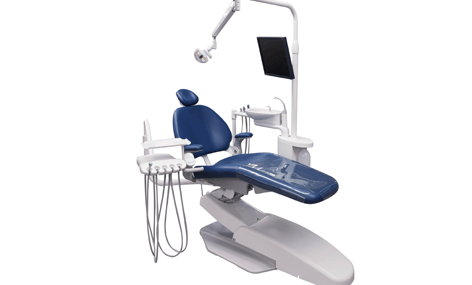 Expanded height range from 13.75” to 31.25” to accommodate all dentists. 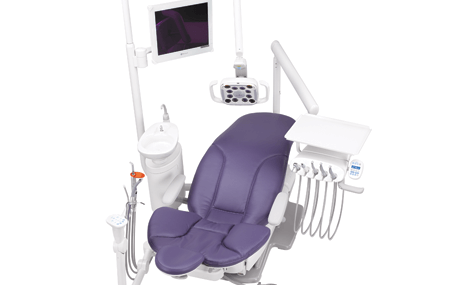 Swivel and break technology for ultimate rotation and treatment access. 2-position armrests designed for support, load-bearing, and patient access. Customisable upholstery colours to suit your dental practice.